What is the effective life cycle of a machine tool? When should we look at replacing our older equipment with newer ones? This is quite the dilemma for most companies as technology continues to progress all around us. While we sometimes grow attached to our equipment, the answer as to when the equipment should be replaced should be an objective one rather than a subjective one. Each company is slightly different in how they approach their fixed and variable costs and what they consider to be an effective return on investment (ROI) for considering new equipment. There is commonality though when it comes to analyzing cost per part. No matter how you calculate fixed costs and variable costs, all related fixed and variable costs eventually affects the cost per part and ultimately a company’s competitiveness. While there may not be one trigger that will determine when to consider new equipment, a combination of triggers should provide the objective and financial justification. One of the largest variable cost factors for older equipment is the cost to repair and maintain the older equipment. How much is the cost to repair the equipment contributing to the total variable cost? How much more, as a percentage, does the cost to repair and maintain differ from when the machine was new? When ‘x’ cost exceeds ‘x’ percentage of original repair costs, this becomes a trigger for considering new equipment. Of course, you will need to make this comparison based on an equal number of operating hours. Cost will need to be evaluated on a rolling basis and over time to see true costs and trends over time. Was it a one-time large repair cost or does the trend show increasing repair costs over time? Don’t forget to include lost machine revenue due to down time into the cost of the repairs. ‘What about the cost per part? How many bids are being lost to competitors? When ‘x’ percentage of bids are lost on a monthly basis, this becomes a trigger for considering new equipment. What about the actual cost per part on your current equipment and comparing to that of producing the same part on a new machine? If we compare the new cost per part calculation based on the costs (fixed and variable) and the run time estimates from the vendor, how much lower in percentage is the cost per part compared to the current equipment? When the cost per part difference is greater than x’ percentage, this becomes a trigger for considering new equipment. What about revenue growth targets? What percentage of revenue growth did you forecast and are you losing that growth due to lack of competitiveness, higher operating costs and reduced productivity? Not reaching revenue growth then becomes a trigger. What about margins? If margins are squeezed due to costs and competitive pricing what is the minimum operating margin that your company can sustain? The minimum margin percentage then becomes a trigger once it is reached. What about ROI? That in itself is another trigger threshold. If the ROI is less than ‘x’ years for new equipment, this becomes another trigger for considering new equipment. 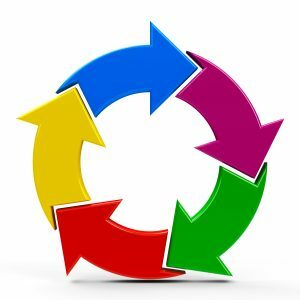 Machine life cycle metrics should be part of every company’s continuous improvement process and financial management process. It’s up to each company to determine the right triggers and their threshold values. Timely objective decisions based on triggers is how companies maintain their competitive edge with new equipment while ensuring their revenue and margins are in line with business objectives and maintaining a healthy business environment for continued growth.